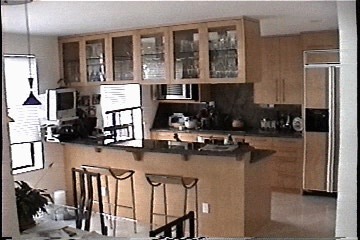 A Contemporary Style Kitchen with a suspended Upper high enough not to seperate the spaces. Lighting is set along it's bottom and interior to illuminate the Glassware and Counter at the Sink. 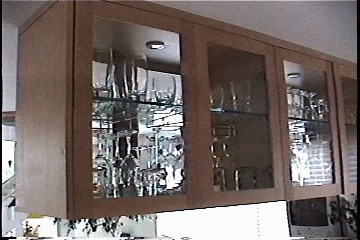 Chrome Stemware Racks are suspended from the Glass Shelving. 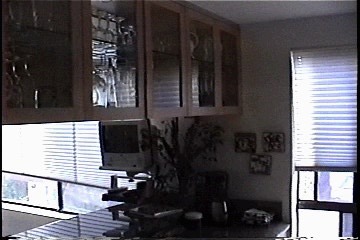 The Upper Penninsula Cabinet is tall enough to place a TV on a Swivel enabling viewing from either side.